If you’ve decided to shake up your events this year and strive for a “new normal”, be sure you also raise the bar for event promotion as well. After all, you need to get your message out in order to fill seats, promote your cause, and engage your members or supporters. Unfortunately, there isn’t one sure-fire event promotion vehicle or channel – it’s about finding the winning mix of communications for your audience. So if your organization has traditionally focused solely on a printed program sent by mail, maybe it’s time to shake things up a bit. Try a multi-touch approach by adding some new communications tools to your event promotion toolbox. There's a wide range of online and offline event promotion channels you can consider, including: direct mail; email; social media; websites; PR; event calendars; paid promotions and so on. So whether you are planning a conference, workshop or a fundraising event, start with an inspirational theme or format to engage your audience from the very first teaser or save-the-date message, and throughout the event. If you are going to create a multi-touch or multi-channel promotion campaign, you need to start with a plan. This means identifying clear objectives; understanding your audience and how to best reach them; and developing key messaging for consistency across all communications. If you build in enough lead time, with effective planning, and willing publicity volunteers or staff, you can promote your event effectively with little or no cost. And while one individual should take charge of coordinating this plan, you might consider delegating tasks across the communications channels. For example, a social media savvy volunteer might want to take charge of your Twitter and/or Facebook messaging. Alternately, you might ask the newsletter editor or forum manager to develop and publish a series of posts. If you’ve traditionally focused mainly on offline event promotion, maybe it’s time to try moving things online! Enable social sharing. Make it easy for folks to share! If you haven’t already, be sure you enable social media sharing on your website. The process of embedding sharing buttons or widgets (for Twitter, Facebook, Google+, etc.) will depend on your web platform. Most system providers offer simple instructions for embedding code for these widgets. How can you harness the power of word-of-mouth to get your message out? Well, it might sound silly, but sometimes all you have to do is ask! It’s amazing how much sharing you can encourage just by asking all of your networks to “please RT”, please “Like” this post or simply, "kindly share." 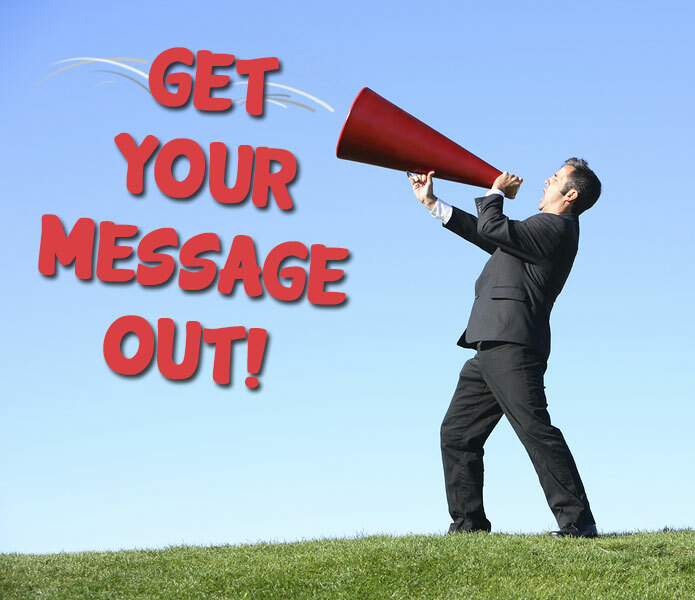 Ask your board, your partners, your speakers and sponsors to help get the message out via their social networks. And as noted above, be sure to make it easy for folks to share by providing sharing tools and buttons in all of your event promotions. Of course, having an innovative concept will help encourage viral sharing. As discussed in #1 having an exciting, fresh and inventive event concept will make it easier to build excitement and motivate folks to help get your events message out.